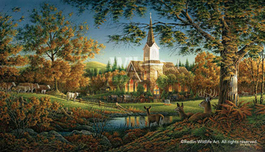 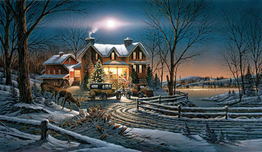 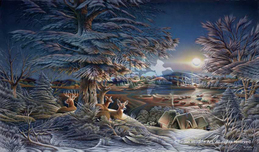 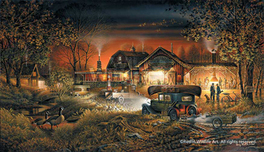 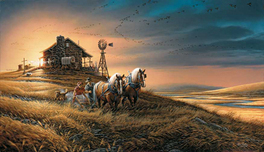 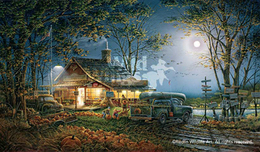 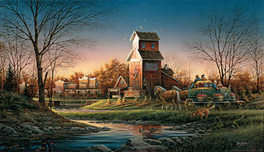 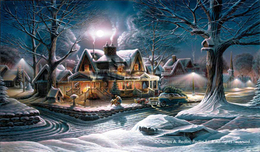 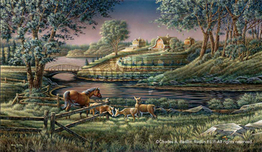 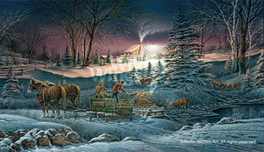 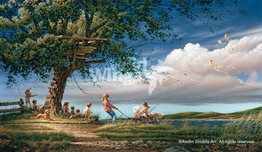 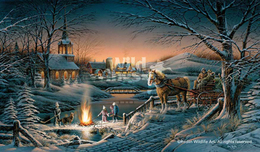 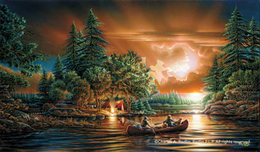 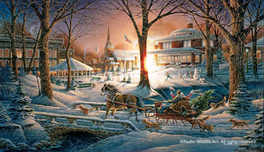 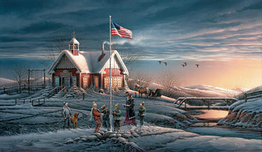 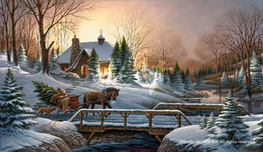 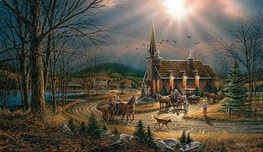 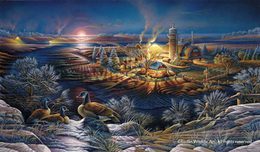 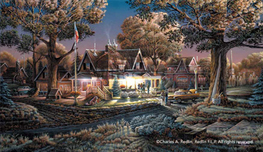 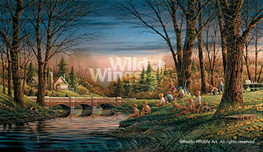 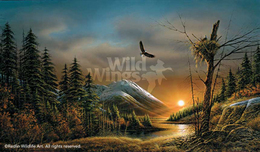 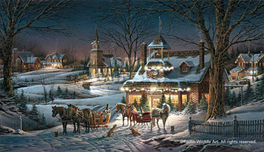 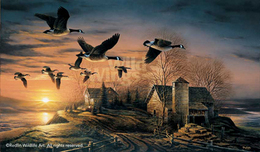 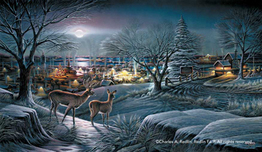 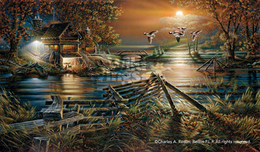 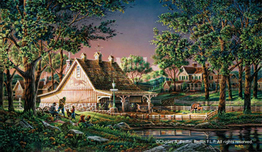 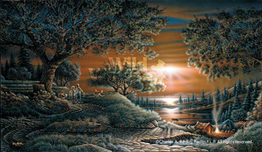 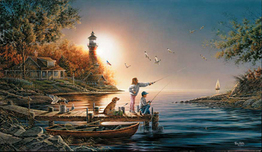 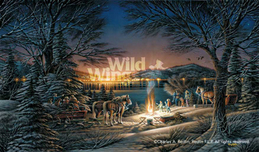 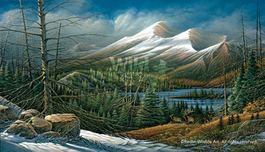 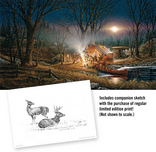 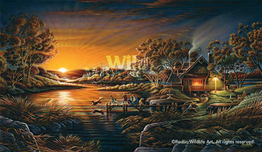 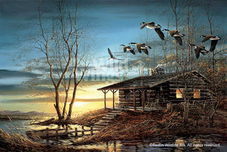 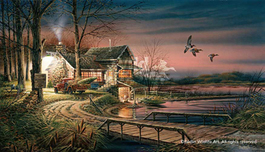 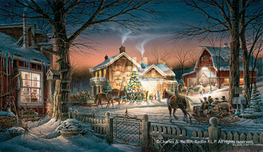 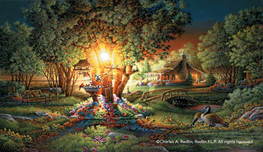 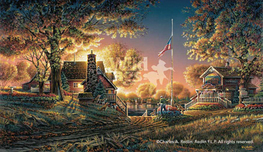 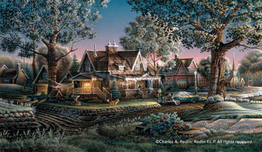 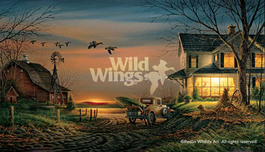 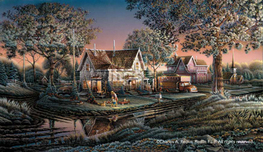 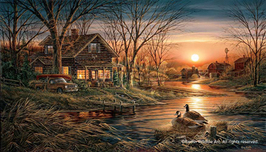 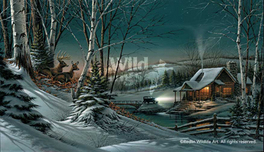 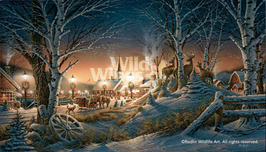 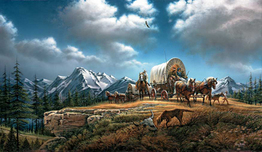 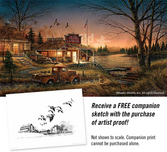 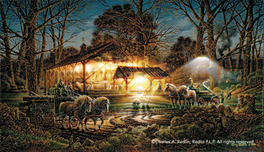 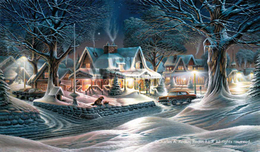 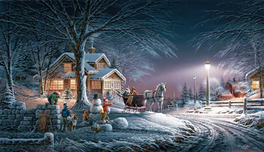 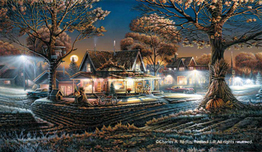 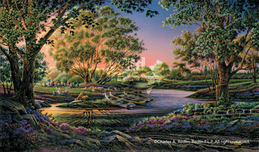 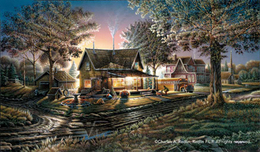 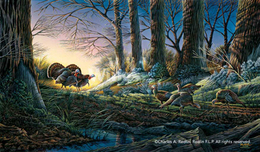 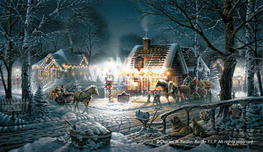 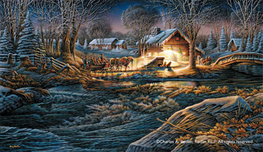 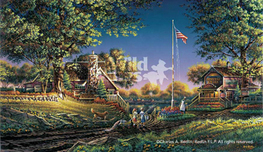 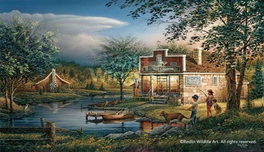 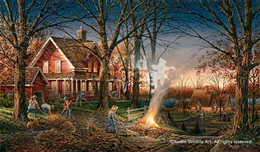 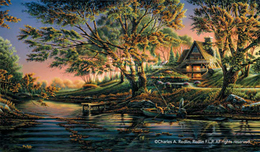 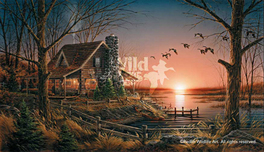 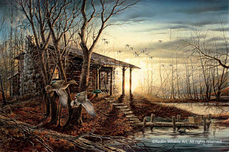 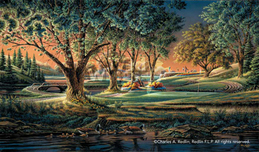 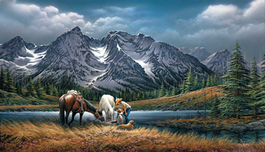 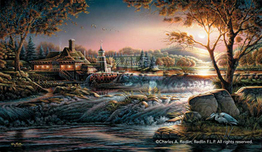 Few artists can rival the standards of excellence achieved by Master Artist Terry Redlin over the past 30 years. 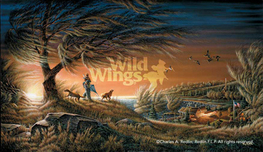 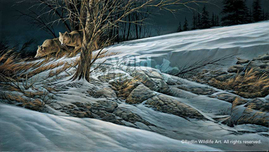 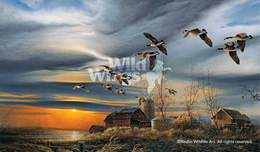 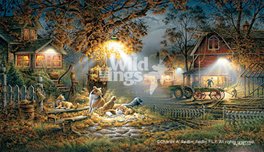 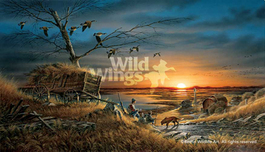 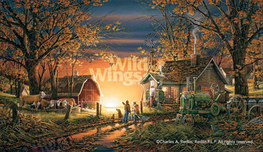 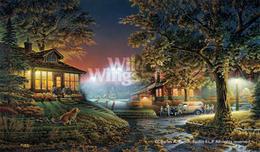 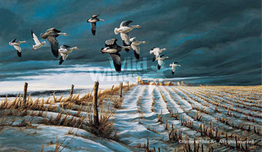 He is truly one of the country's most widely collected painters of wildlife and Americana. 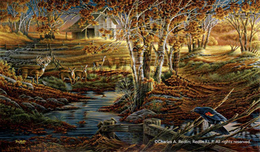 For eight consecutive years, 1991 through 1998, Redlin has been named America's Most Popular Artist in annual gallery surveys conducted by U.S.ART magazine. 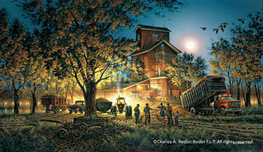 His induction into U.S.ART's Hall of Fame in 1992 followed the magazine's poll of 900 galleries nationwide which, that year, placed five of Redlin's limited editions in the top 11 in popularity. 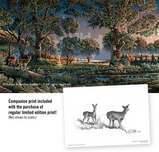 Over the life of the poll, 30 prints have been included in that list. 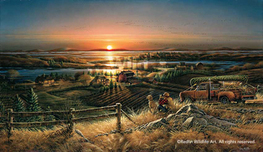 His use of earthy colors, blazing sunrises and sunsets and nostalgic themes are often cited as the reasons for his immense popularity.